Hey all! I'm here to make a confession! I love weddings. (Ya'll know that, right?!) I love the act of loving and the hope that comes with marriage. The hope that this is all we need: just you & me. I'm here to say I love all that good stuff! It's what I thrive on! But! While these are the moments I adore to photograph, I also have a passion for shooting fine art photography. Specifically using different mediums of film. For the past four years I've been documenting my family and my life by way of film and a few moments of digital work. I love shooting this expensive as heck film for many reasons! Shooting analog (film) takes me so much longer than when using a digital camera. It causes me to slow down and become more of an observer waiting for just the right moment. Rather than being in the moment, I am able to take a step back and see the moments happening as I prepare to shoot them. This is such a curious thing for me! Watching the light as it travels into a room and seeing the person I'm about to shoot as she settles into how she wants myself and my camera to see her. Film is also expensive as all get out and when I only get 12 shots on a roll, or 10 photos to a pack one cannot be dilly dadling about it! I've been experimenting with different forms of film and cameras trying to find the method that works best for me. 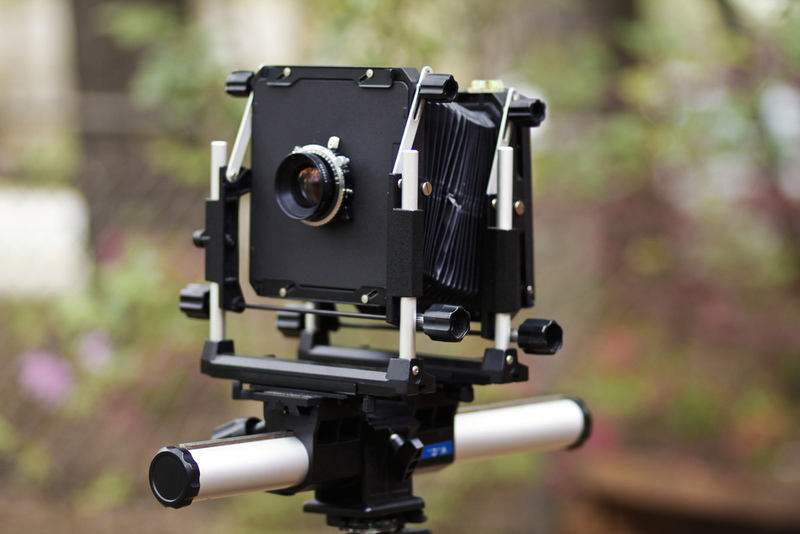 From the toy Holga camera (the cheapest, all plastic, tiny medium format camera), to a large format 4x5 Polaroid, to a Hasselblad (The Hasselblad is the nicest film camera you can get your hands on!) Using film is the best way I've found to express myself. If I could find that happy medium and shoot weddings with film-I WOULD, but I'm positive I would have a nervous break down before the reception. With film the colors are more accurate and the images are more precise. Best of all-the moment then bcomes tangible. Tangible isn't a word we get to use much anymore and I'm trying to hold on to it as long as possible. There is nothing that can compare to unraveling a stack of freshly processed negatives and to hold the moments of the now past in your hands and to remember "I was here. This was me." I don't meant to get all emotional on you, but film is my love! I'll gladly throw $200 at Amazon for four boxes of film before I'll spend it on clothes or something at the mall! This may also contribute to why I will show up to your wedding consultation in a '97 minivan covered in stickers. I believe in getting full use out of the things I buy! Hence my trusty ole mini van that I refuse to trade in. If you would like a session that is more like my fineart work or includes film, please send me an email at giniaworrell@yahoo.com All photos except the top were taken by myself using a Polaroid back on a 4x5 large format camera. The top photo taken of myself by Laci Frazier!